Arunachala, the holy mountain in Tiruvannamalai has been drawing sages, saints and seekers of Truth since time immemorial. 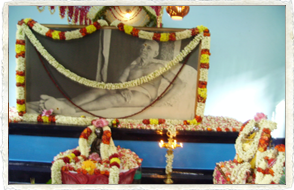 Bhagavan Sri Ramana Maharshi made Arunachala his abode in 1896 and until his Mahanirvana in 1950, never left the precincts of this place. Like Arunachala, Bhagavan Ramana too draws seekers from all the nooks and corners of the world and by his benign Grace guides them to the Truth. 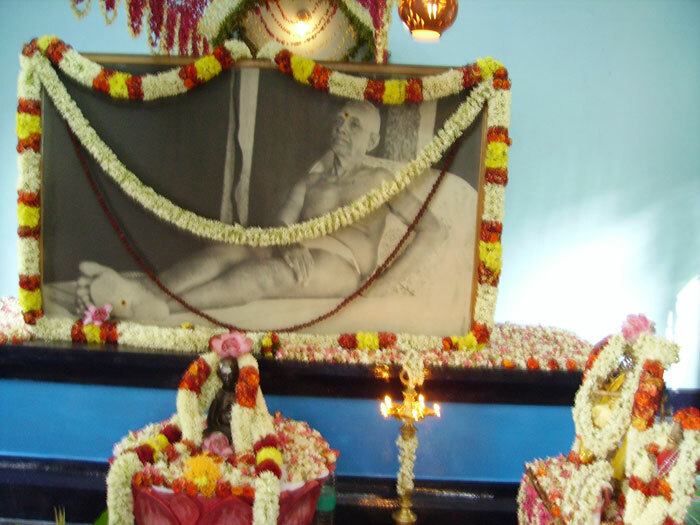 Bhagavan Ramana Maharshi received devotees and seekers with great love and made them feel at home. 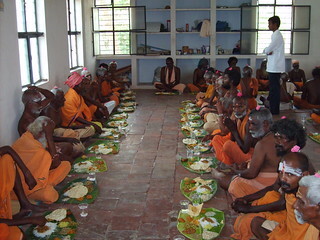 Athithi Ashram aims to follow the true spirit, loving concern and care that Bhagavan had for the devotees and visiting pilgrims. “ATHITHI DEVO BHAVA” signifies that pilgrims and guests are to be looked upon as the very embodiment of the Lord in human form. 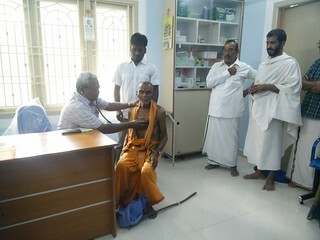 One early morning, Kunju Swami, a devotee of Bhagavan, while washing vessels in the stream at the foot of the Arunachala Hill, heard a voice, “Is there something available for an athithi?” Turning back, he found Bhagavan standing. Thus, Bhagavan came as an Athithi and stayed back in that place, which became the present Sri Ramanasramam. “Thithi” means date and time, and “Athithi” means without date and time. That is, when a stranger comes without announcing the date and time of his arrival for a short stay, he is an Athithi. In a broader perspective, everyone who is born on earth, comes without announcing the date and time of arrival and so, everyone is an Athithi. If one learns to live as an Athithi (guest) in his own house, then there will not be any problems in life. 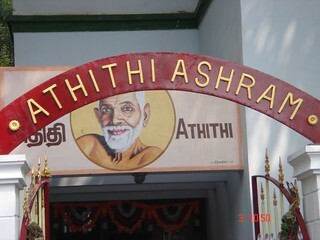 Copyright © 2013 Athithi Ashram.All rights reserved.